Your heroes fight, conquer, fail, and rise to fight again. You plan, scheme, and perfect your group tactics and try another build. In Heroes of Steel, you invest in your group strategy, tune it, perfect it -- searching the right set of curses, Empowered Attacks, the ultimate mix of buffs and gear. But sometimes things can go wrong -- a Talent point that you regret or needing more HP or SP than you thought. Plans go awry, or you want to try something new altogether -- and for those times there is now Re-Spec. 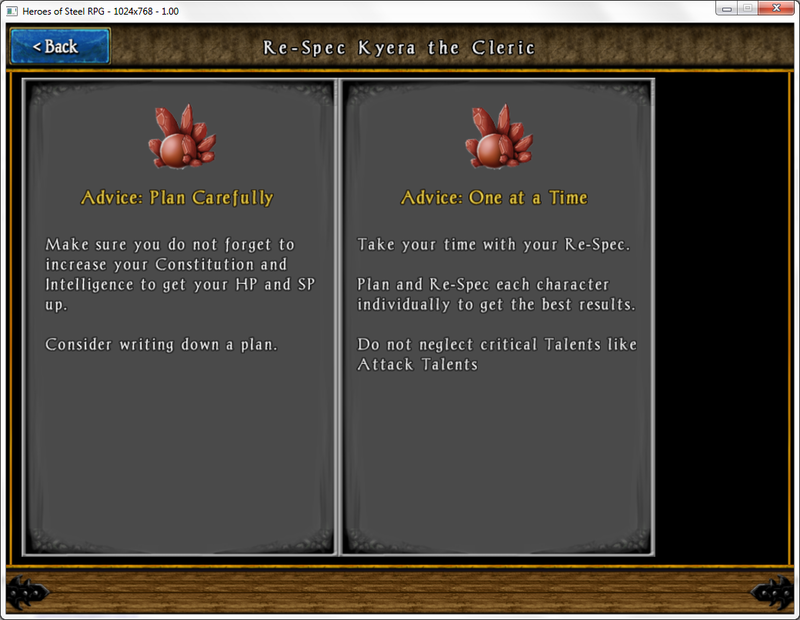 Re-Spec allows you to restart a character -- setting your Attributes, Skills, and Talents back to the way they were in the first minutes of play in the Red Hill Dungeons. Then, enjoy the glorious process of re-spending all of those points in a flurry of activity, and take your new build out into the dungeon to see if you built something that will last. Re-Spec can be achieved one of two ways. 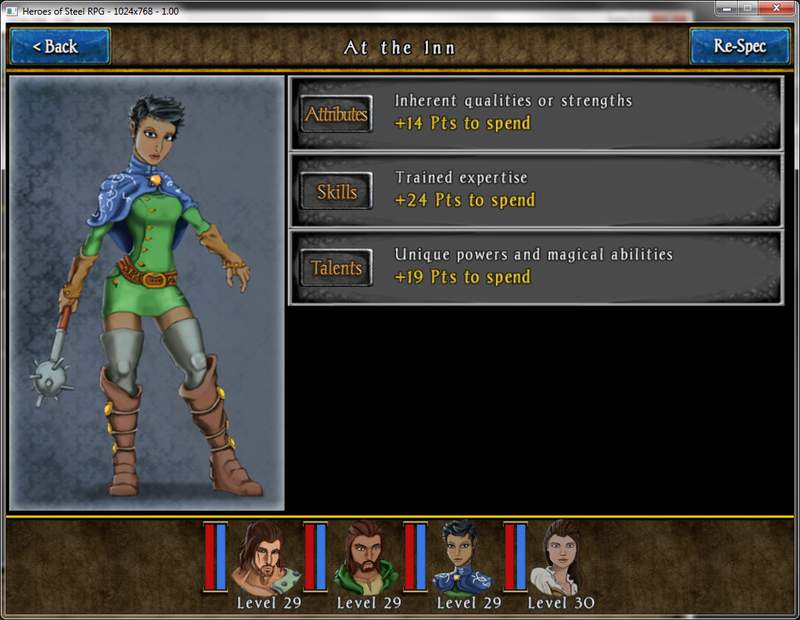 First, you can collect enough Moonstone Crystals - which legend says are slivers of the All-Father's soul. With 20 Crystals, you can Re-Spec a single character at any Way Station or Inn. More than 80 Moonstone Crystals have been scattered across the Underdeep with this release. If you'd like a quicker route to a Re-Spec, there is a new Unlock Re-Spec IAP for $5 which provides a shortcut. If you purchase the Unlock, every character in every group (new, old, and so on) is granted a single Re-Spec without any Crystal cost. 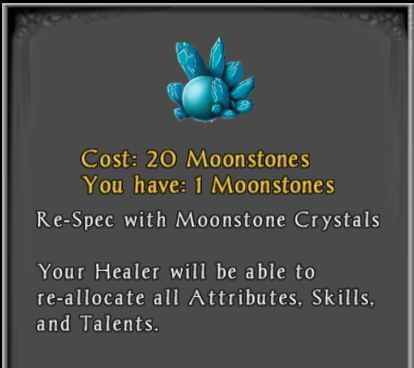 If you need to Re-Spec a second time, you'll have to find the Moonstones to foot the bill. 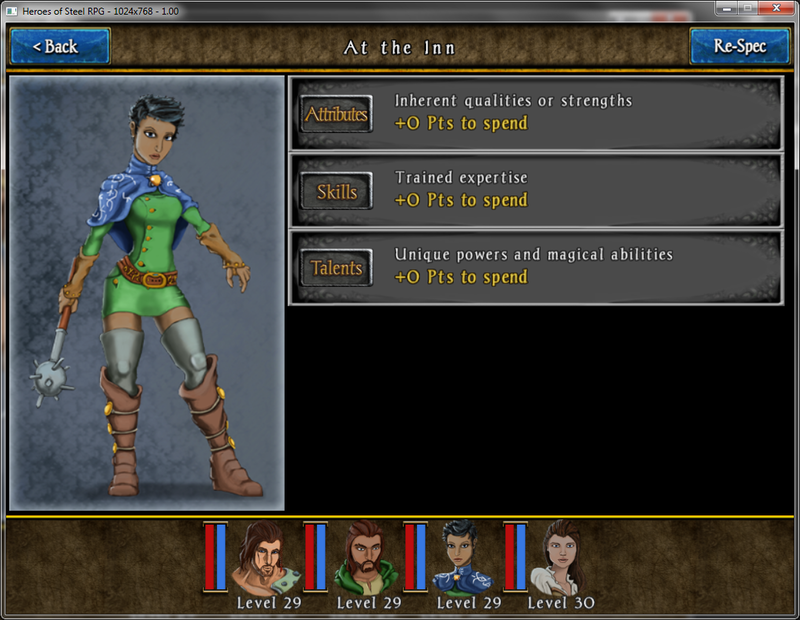 Also keep an eye out for Bloodstone Crystals, whose use will become clear in near updates. Finally, be careful with your Re-Spec. It's a lot of power, and we found in testing that it can be easy to make some mistakes. Take your time, write down your plan, and spend your points deliberately. Don't neglect critical stats like Constitution and Intelligence, and make sure you are spending well. Once you've spent the points, there is no way to revert your decisions.